Understand underground utilities below the surface, anywhere in the UK. 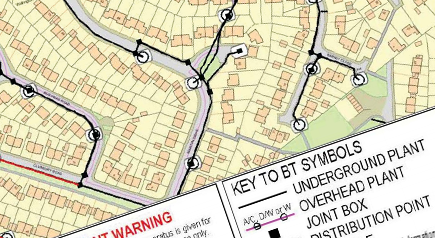 Underground Utility Reports collate maps & plans of Gas and oil pipelines, electricity cables, telecommunication wires, mains water supplies, sewers & fibre-optic cables. Joanna James PAS 128 Desktop Underground Utility Reports. Get the underground utilities knowledge you need for a safer dig. NB. Prices vary according to location. NB. Prices quoted includes ALL of charges made by individual utility companies known as disbursements. 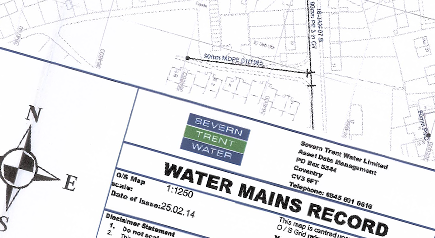 Email details of your site & requirements, include a site plan if possible. Joanna James Underground Utility Reports are PAS 128 compliant, desktop underground utility search reports. Therefore they deliver on budget & on time. We provide a cost effective service for anyone needing to locate buried utilities such as electricity cables, gas pipes, water mains, sewers etc. As such, these reports may be necessary at the acquisition, feasibility, design or construction phase of a project. In essence they add a vital layer of safety to a project. Joanna James collate information from all the relevant utility companies on your behalf and compile a PDF pack of information and plans for each site. Joanna James undertook a Underground Utility Report search for a client with a site 100x100m in Scotland needing only Gas, Water, Sewer & Electricity Records. The Underground Utilty Report was delivered in 8 working days. Total cost including disbursements £310+vat. Disbursement are the charge made by utility companies for providing plans. This is either free or up to £150. There isnt a definitive disbursement pricing – costs are a subjective decision made by the utility company. Utility companies charge disbursements to cover costs depending on search infrastructure. Some perform manual searches meaning costs are high. Others have web based search platforms that offer searches for smaller charges or even free. The presence of utilities can have a significant effect on how a new development is planned. At construction stage, it is essential that the location of utilities is known to enable work to be carried out safely and efficiently. Joanna James same day quotes for Underground Utility Reports. Simply fill in the form. Add as much detail about the site as you can and send a site plan if possible. Data collated in either a CAD friendly format or a singular PDF. There is little consistency to the data we receive back from the individual Utility companies. Therefore if you require the utility data all in one place, rather than trawling through multiple PDFs we do offer an overview service.